Network connectivity holds all parts of an organization’s IT strategy together. It is the reason that employees are able to do their jobs and access their work every day. 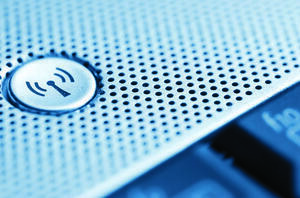 The efficiency of connectivity depends on how all of the different pieces of an organization’s wireless networking strategy are weaved together. Connectivity also extends to the Internet of Things (IoT). IoT is essentially adding connectivity to an existing technology or object that previously did not have that feature or capability. Like with many technologies, there are challenges with incorporating IoT. A common concern is how to properly secure these additional devices with network access. Fortunately, IoT devices can be customized, giving organizations some control over specifications such as bandwidth and range, as well as security measures. This blog covers a situation where a customer approached WEI for technology assistance that required WEI to invent a custom IoT solution that complies with heightened security requirements. A leading workforce management company faced some unique challenges when selling its employee time-tracking system to a state corrections department. For security reasons, the state corrections department was unable to connect the time-tracking clocks to its local network, preventing data transfer from the time clocks to the cloud-based time management solution. There were no readily available or off-the-shelf solutions that could completely solve the connectivity challenge, so the company enlisted WEI to develop a custom solution that would not jeopardize network security. WEI’s engineering team worked closely with the customer’s engineers to fully understand all aspects of the time-tracking system and the challenges presented by the local network’s security limitations. Leveraging the “Internet of Things” concept, WEI developed a connection kit using a HP cellular router tied to a Verizon Wireless machine-to-machine network to establish a secure flow of information completely separate from the local network. A cellular connection was a cost-effective, highly available solution that was fast enough to ensure optimal performance of the employee time tracking system. Over 300 connection kits were installed by WEI engineers across the state corrections department’s 48 institutions. WEI now actively monitors and manages all the kits 24/7/365 to ensure no loss of data. The connection kit is a cost-effective solution that the company can now implement for any customer with network security concerns – introducing an opportunity for the company to capture more market share while maintaining competitive pricing. WEI has welcomed opportunities like this on other occasions to find the perfect solution for its customers. It is important to note that IoT can bring its own challenges to the workplace, which makes working with a trusted technology partner even more essential. Read the case study in full and access a copy of the PDF to learn more about how WEI leveraged IoT.